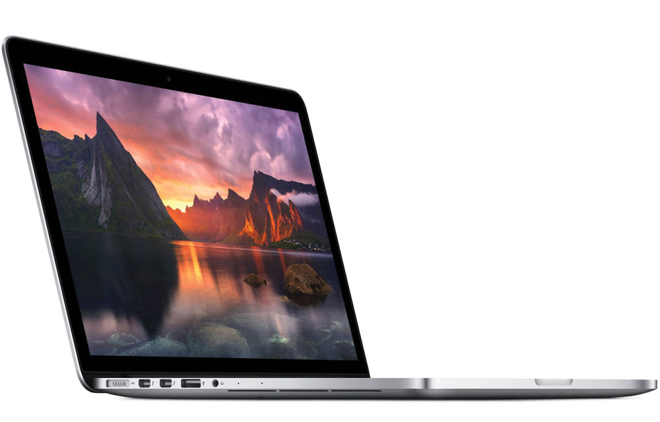 Apple authorized reseller B&H Photo on Monday slashed the price of Apple's mid-2014 13" MacBook Pro (3.0GHz, 8GB, 512GB) model MGXD2LL/A to $1599 with Free Shipping, no sales tax collected outside NY & NJ delivery addresses, and your choice of either a free copy of Parallels Desktop 10 for Mac or a 1-year subscription to LoJack for Laptops. With out factoring in the free items, that's an instant savings of $400 and the lowest price anywhere for this MacBook Pro by roughly $280, according to our Price Guides. Simultaneously, B&H also offers the same model with a 2.8GHz processor for $150 less. Both of these MacBook Pros are closeout models, meaning they won't be restocked once they sell out. As such, these deals and discount are limited to existing supply.